Ever After High Legacy Day Briar Beauty is wearing a top, circle skirt, small circle over skirt, and wrap around collar. The Barbie Look Red Carpet Yellow Gown Barbie, is wearing a top, shoulder straps, straight skirt and belt. Moxie Girlz Alice in Wonderland Avery is wearing a top, shoulder straps, circle skirt, and belt. 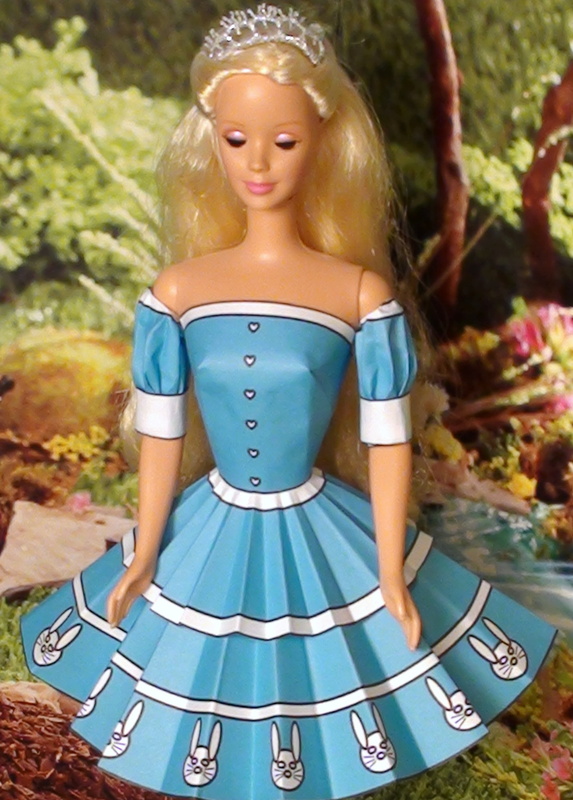 Barbie is wearing a top, flared skirt with belt, shoulder straps and puff sleeves. 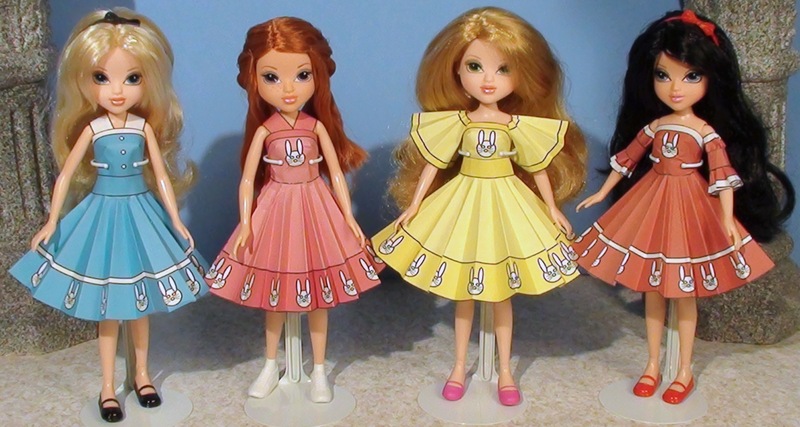 Each of these dresses begins with a top, then a circle skirt. Blue has a belt and shoulder straps and is modeled by Moxie Girlz Alice in Wonderland Avery . Pink has shoulder straps and is modeled by Moxie Girlz World of Sportz Doll – Kellan (Tennis) . Yellow has a belt and half circle sleeves and is modeled by Moxie Girlz Doll- Snow White Merin . Red has middle puff sleeves and is modeled by Moxie Girlz Doll- Snow White Merin . Top, circle skirt, shoulder straps. Modeled by Silken Flame Barbie (Brunette) .